Lok Sabha Elections 2019: "Tejashwi Yadav spoke to me on Tuesday and told me that I was being suspended from the party for a period of six years. He was so rough and rude...I was appalled," Mohd Ali Ashraf Fatmi told PTI over phone. 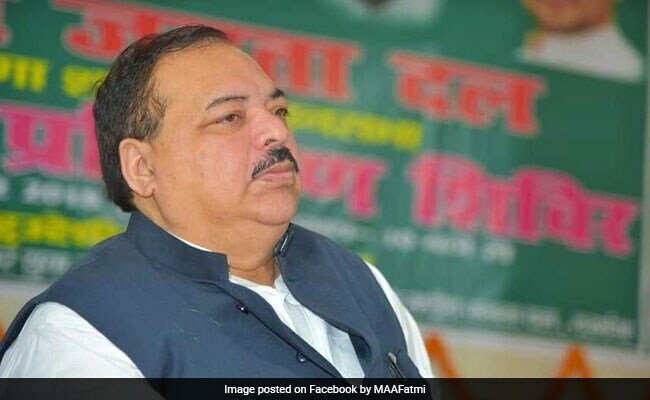 Mr Fatmi made the move a day after he resigned from all posts he held in the RJD, including in its parliamentary board, and said he would wait till April 18 for the party's decision on the seat from where the ''Mahagathbandhan's'' fledgling outfit Vikassheel Insaan Party (VIP) has fielded its candidate. "Tejashwi spoke to me on Tuesday and told me that I was being suspended from the party for a period of six years. He was so rough and rude...I was appalled. My political career began before he was born," Mr Fatmi told PTI over phone. "I have, therefore, decided to quit the party and have vowed never to return. I will file my nomination papers from Madhubani on Thursday," the former Darbhanga MP, whose son is currently an RJD MLA, said. Asked about reports that he would contest on the ticket of Mayawati's BSP, Mr Fatmi replied "At present I can say only this much I will be contesting as a candidate of a national party. And BSP is a national party". Mr Fatmi said RJD chief Lalu Yadav's elder son Tej Pratap Yadav has been openly revolting against the party. He has floated a parallel outfit, the Lalu Rabri Morcha and has declared candidates for a few seats, even on seats which the RJD is contesting. "Why no action has been taken against him. The party has become a family property". Mr Fatmi had been upset over the candidature of Abdul Bari Siddiqui from Darbhanga, a seat he has represented four times and which he lost five years ago by a small margin. He had been hopeful that RJD would compensate by fielding him from Madhubani but was upset when the seat was allotted to VIP, founded barely six months ago by former Bollywood set designer Mukesh Sahni. With Mr Fatmi entering the fray, the contest in Madhubani is likely to become a four-cornered one. The BJP has replaced its sitting MP Hukumdeo Narayan Yadav with his son Ashok Yadav. VIP has fielded a former RJD man Badrinath Purve. A section of the Bihar Congress, which has been feeling short-changed over getting fewer seats than expected and having been made to forgo some constituencies of its choice, have indicated that Ahmed's request for a friendly fight was unlikely to be accepted by the high command since similar pleas have been made by many others in the party.